Do you dare take on the challenge and test your sense of orientation in the long and winding paths of Europe’s largest 3D-maze? 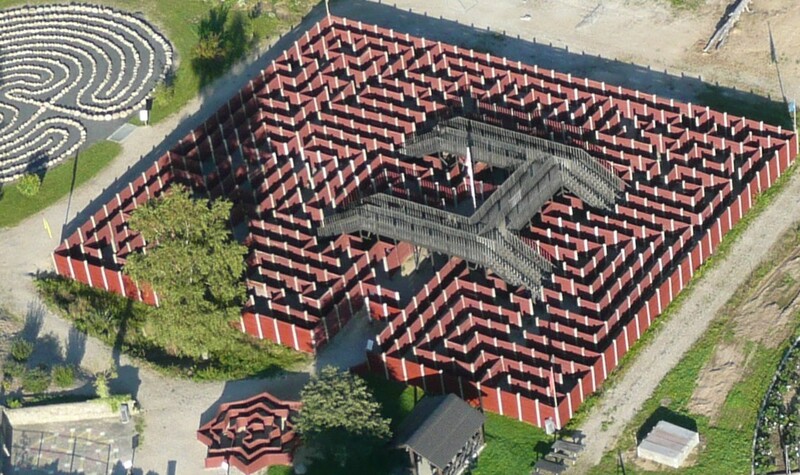 If you solve the maze (without cheating) we’ll issue a free diploma so you can prove you’ve solved it. And don’t worry, if you do get lost, we’ll make sure you’ll get out again – one day! Most visitors spend about 30-45 minutes to solve the 3D-maze. 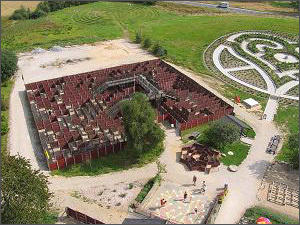 The 3D-maze has an area of 1300 m² and is constructed of concrete poles and douglas wood-panel walls. The total length of the paths is 1 km. The maze is 3-dimensional, i.e. there are stairways and overhead bridges that you’ll have to walk up and down to get around. They are a part of the path system. 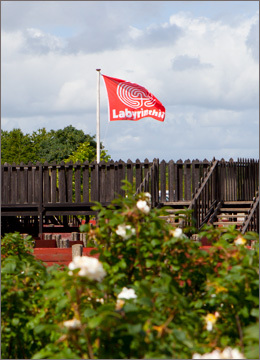 The aim of the 3D-maze is to find your way to the 4 corners marked with a yellow, a green, a blue and a red flag – and then find the centre (marked with a Labyrinthia flag). From the centre of the maze, you’ll find a ”Quick Exit” so that you can walk out of the maze directly without having to walk all the way back again. The 3D-maze is suitable for both young and old pathfinders. Of course, it is more fun for a small group of people – have a competition, laugh together and at each other. Scroll down and read more about the 3D-maze. If you want to prove that you have completed the maze, we’ll issue a diploma with your name on, if you have remembered to stamp your card at all 8 check points in the maze. 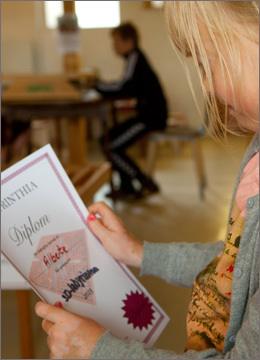 Remember to get a diploma card when you pay your entrance fee. The 3D-maze is constructed so that you quite often have to use the stairs and overhead paths, where you may stop and have a general overall view, see where the exit is placed, so you can get out quickly, if you need to. Furthermore, the panel walls are raised 0.5 meters at the base, so you may crawl under if necessary. The 3D-maze is designed and developed in modules, so that it is possible to change the system of the paths if necessary. So, from time to time, we change the path system and also the degree of difficulty! The 3D-maze was built in 1998. At that time the system of paths was divided into 4 sections having a cross in the centre like the Danish flag. 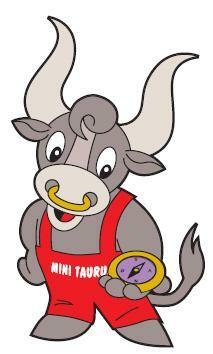 In the following years, we made various minor changes and adjustments. 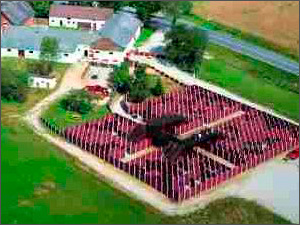 In 2005, the 3D-maze was completely reconstructed. The cross at the centre was removed, and the 4 sections were built together to form one large coherent maze. This created a new and exciting system of paths, and with it, a whole new, fun experience. In 2016, the entire maze was renovated. It got new stairways and new steps, and completely new pathways.